Linda: Thanks for joining me today. 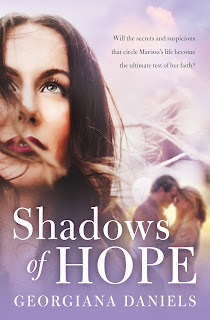 Congratulations on your latest release Shadows of Hope. The book explores a difficult and emotionally charged topic. Where did you find your inspiration for this story? Georgiana: First of all, thank you so much for having me on your blog, Linda! The inspiration for Shadows of Hope came from several places over a long period of time. The issues challenging the heroine are some of the hardest situations a woman can face—infidelity and infertility. By confronting her with these issues, I really wanted to see how her faith would hold up. Even though we may not face what Marissa in Shadows of Hope does, as Christians we will all, at some point, face the worst thing we can imagine. Will we find our faith or lose it? I hope readers walk away with a sense of knowing that there is hope on the other side of trials, and we can become more like Christ if we allow God to shape us in the process. Georgiana: Is “plantser a thing”? My process is a hybrid of plotting and pantsing. I go into a story knowing details about the first third of the story, and a general idea of where it may go from there. But with Shadows of Hope, for example, I wasn’t exactly sure how Marissa’s marriage would turn out when I started writing, and that was the interesting part! I kept writing to see what would happen. My favorite part is the first draft when the story is fresh and anything can happen. I love exploring the possibilities! Of course layering in themes and deepening the spiritual threads are fun too. LM: Research is a large part of any book. How did you go about researching Shadows of Hope and did you discover any extra special tidbits of information? Georgiana: There were some things I had no clue about when I started this book, such as the path to tenure in a university. Then there were tidbits I’d long forgotten about being pregnant and ultrasounds, but those were fairly easy to pick up again. It sure brought back some memories! To be honest, research is the hardest part for me, probably because I like to make stuff up! But in some instances, it’s absolutely crucial because new information might take the story in a whole different direction or make what seemed plausible at first completely illogical. Sometimes I research before I really start, and sometimes I dig for information along the way. It’s a skill that I constantly have to hone while battling my desire to keep running ahead in the story. Georgiana: Being a published author was always a goal from the time I was in 7th grade and wrote Death on Penthouse Avenue. Of course, the manuscript was never finished, but I took it all very seriously! I didn’t get serious about writing for publication until I started staying home when our 2nd daughter was born, 13 years ago. Man, there was a ton of trial and error! 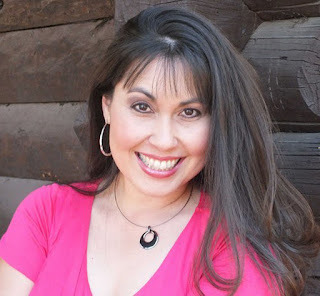 But after a couple of years I joined American Christian Fiction Writers, and all of a sudden it all seemed….possible. Prior to that, being a published author felt like a far-off dream. Of course my journey has been anything but smooth, and I honestly don’t know what’s going to happen next. Whatever comes in my career, I’m at peace with it. God has shown me there is so much to this big beautiful life that I don’t have to peg happiness on one thing. Believe it or not, I was stuck in that mindset for years. Praise God, He has shown me differently! Georgiana: Such a great question! Hubby and I love watching all the travel shows on Sunday night, so I have a long list of places to see and things to do. I’d love to visit all the great historical sites, the Parthenon, Stonehenge, and the pyramids, just to name a few. But I’m always up for bobbing in the waves at the beach. Maybe we’d go back to our honeymoon spot in St. Lucia. Mmmmm…..now I’m dreaming…. Favorite childhood book: Are You My Mother? Georgiana: You stumped me! Isn’t that a hoot? I do have another women’s fiction I’m working on, but the research has me in a holding pattern. (There’s that whole research bit again!) The medical and legal questions I’m digging into will definitely affect the outcome, so I can’t rush ahead. …you struggled with infertility but unknowingly befriended your husband’s pregnant mistress? …the woman you were seeing behind your wife’s back gets pregnant, threatening your job and marriage? …your boyfriend never told you he was married and you discover you’re pregnant? Crisis pregnancy worker Marissa Moreau suspects her husband is cheating, but little does she know how close to home her husband’s infidelity hits. College student Kaitlyn Farrows is floundering after a relationship with her professor leaves her pregnant. Soon she lands a job and a support system at the local pregnancy resource center and things seem to be turning around But when Marissa and Kaitlyn become friends, neither one knows they share a connection-Colin, Marissa’s husband and Kaitlyn’s former professor. When their private lives collide, the two women must face the ultimate test of their faith and choose how to move forward as they live in the shadows of hope.